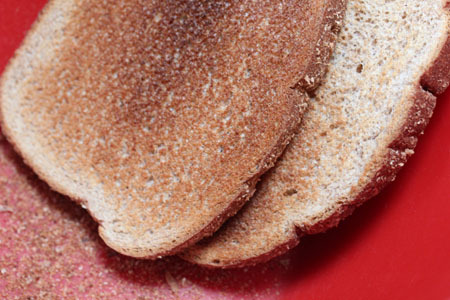 If you need bread crumbs but only have fresh bread on hand, here’s what you can do. If you have very few minutes to spare in getting your bread crumbs ready, this is the method for you! Then take the 2 pieces and rub them together. Quickly rub them. And then flip them over and rub more. And when you get down to the parts that are not toasted, then rub, rub, rub. There will be some larger pieces and some crust that will fall off. Pull those out and rub. Until they get to be as fine as you can get them. Season. For every 2 bread slices, add 1 Tbsp Italian seasoning, 1 tsp salt and a few dashes of pepper. Now…they won’t be perfectly crumb-y, but that doesn’t matter if you are mixing them into meatballs or meatloaf. 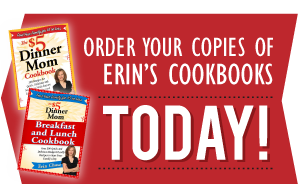 Their purpose is to soak up juices and give some bounce to the meatballs and meatloaf…and the clumpier bread crumbs will work just fine. But if you’re going to use them as a topping for Mac n Cheese, then you might want to try version B. At least the “run them through the food processor” part! Use this method if you have a few minutes to get the bread crumbs ready. 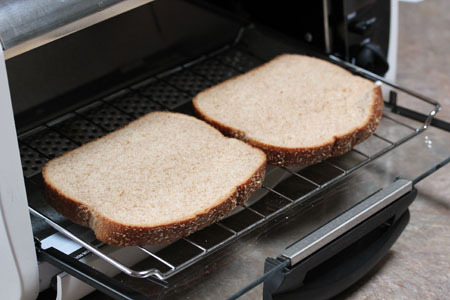 Place 2 pieces of bread on a baking sheet for 15 minutes in a 300 degree oven. Pulse the now dried out bread in a blender or food processor. Season (as discussed above) and add to the recipe. 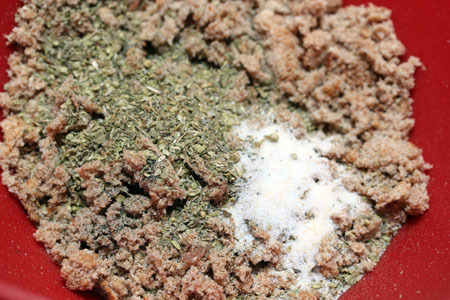 Unused homemade bread crumbs can be stored in a plastic baggie in the freezer. 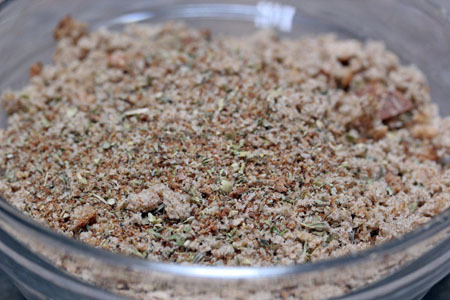 Makes about 1 1/2 – 2 cups of bread crumbs. This entry was posted in How To, Recipe, Tips and Tricks. Bookmark the permalink. Great idea! Now I’ll always have bread crumbs if needed (as I always have bread). Would have never thought of that… thanks for sharing! 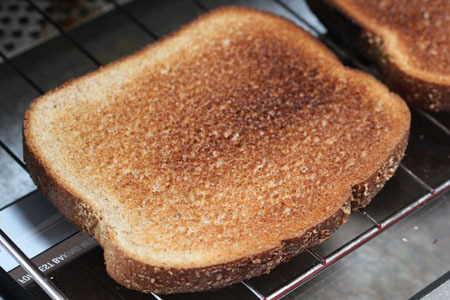 I never toast them. I just take them straight from the bag and put them through the food proccessor. I’ll have to toast them once and see if it makes a difference or not. Thanks for this tip – I love it! This is a great idea for gluten free bread! I’m gonna do it this week. THanks! amazing and i also have a idea u just dry the bread in sun for 1 or 2 hours and mash them with hand it really works………………….. This works great used it to make meatballs works a treat.